Connecting the "Boscam 5.8Ghz 200mw FPV Wireless AV Tx & Rx Set" with "HD Wing Camera"
The transmitter and receiver needs a source of energy and need to be plugged into a device. To connect the transmitter battery I made an extension of XT60 with a JST male. 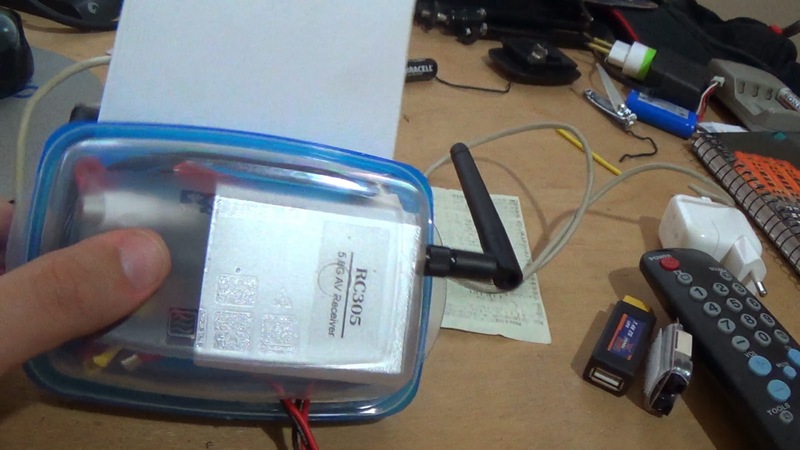 And, I used the same battery that powers the ESC and thetransmitter. A solução do receptor vai depender de cada usuário. Eu comprei um monitor de 7 polegadas e vou alimentar ambos com a mesma bateria 3S. Desta forma, utilizarei um conector igual ao de cima tanto para o receptor quanto para o transmissor. Com o monitor no lugar do ESC. The solution will depends on the each user video output. I bought a 7-inch display and will feed both with the same battery 3S. 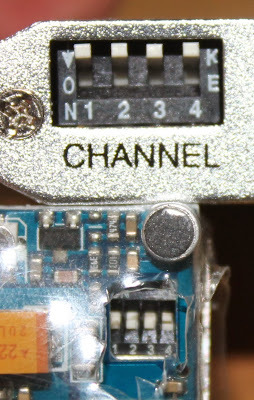 Thus, I will use a connector similar to the above to power both, the receiver and the transmitter. To connect to HD Wing Camera I used the video cable that came with it. For this, I cut the video connector and put an adapter on the cut end, to use it for the RCA and the transmitter cable, as pictured below. 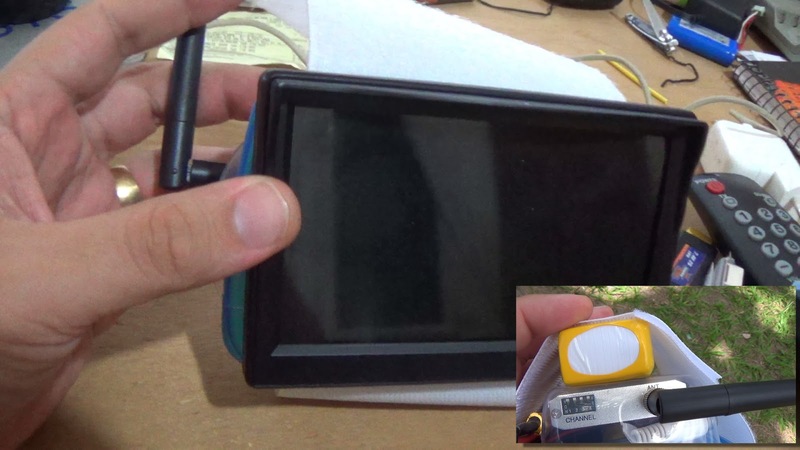 Notice that the positive video is the yellow wire on the transmitter, and the black wire on the HD Wing Camera. Thus, the black wire of both cables must not be connected together. After connecting everything I select the best channel for transmission and chose channel 8. All switches off the receiver, and only the number 4 connected to the transmitter. To use HDWingCamera as FPV, you must choose the mode with motion sensor (blue and yellow LEDs) before connecting the AV cable in it. Just beware! When the memory card space ends it goes off!